App shortcuts were introduced in Android Nougat as a way to have a quick access to the most used functions of an app directly from its icon on the homescreen by long-pressing it. It is a nifty idea that circumvents the requirement to have a pressure-sensitive display, and arguably does a similar job. This same neat trick has now been leveraged to create the Super Shortcuts application, which does a better job than folders at de-cluttering your home screen, leaving only the wallpaper to shine from behind. 2. 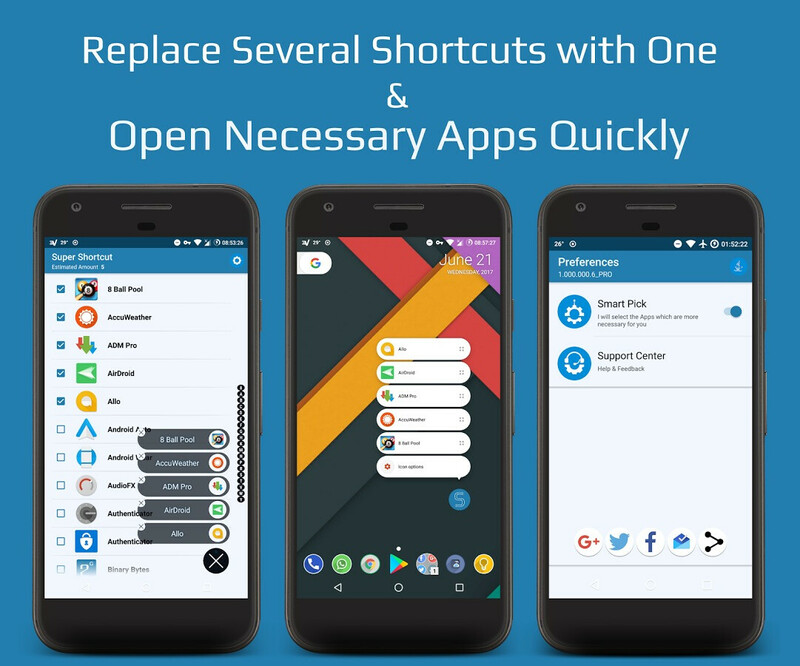 In case the Play Store shows that Super Shortcuts isn't available in your area, download the APK package, and install it directly from the sideloaded file. It's a vertical app folder. Great idea, wish Nova launcher would allow to tweak the folders size and shape. Keep in mind that this ONLY works on Andriod 7.1!!! Reminds me of Popup Widget 3 which is similar but works with widgets.